They are free to graze on fresh grass (to supplement their diet), forage for insects, dust-bathe, or scratch around and do whatever they want, all day long. At night, they are safe and secure in our spacious, straw-filled barns, where there is natural light, fresh straw every day, and plenty of food and water. Starveall Farm is proud to be a member of the Traditional Farmfresh Turkey Association. 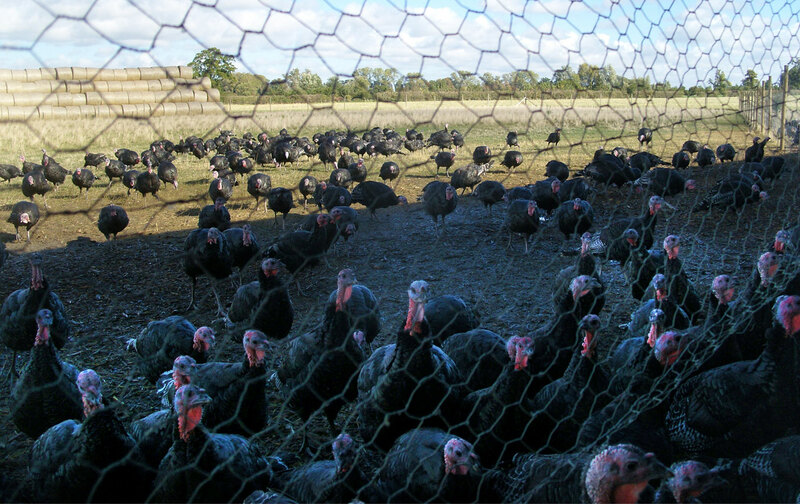 This means all our turkeys are reared and produced according to the Association's strict quality and welfare codes, as expected by our customers.